Incredibly, it’s been five years since I last wrote about to Winter Moon, the always evocative Homestead region designed by Dream Shadowcry (see here for more). How I’d managed to let it drop from my list, I’ve no idea – so my thanks to Annie Brightstar for the reminder via Twitter. In 2013, the region was a near-perfect embodiment of a monochrome setting, watched over by the tall tower of a lighthouse and making good use of water and coastline to present a memorable location. The lighthouse is still there, something of a signature piece for Winter Moon, and the use of water is retained, giving a feeling of familiarity after so long since my last visit, but unsurprisingly, everything has changed. From a monochrome photograph to a lover’s sanctuary, the transformation is wonderful to see – as are the many details that link this iteration of the region with past versions. The aforementioned lighthouse for example, or the ivory piano and the curve of a rocky arch; the upturned boat on the beach and the elegant use of water and land to present a memorable, romantic place in which to spend time. Resembling an atoll with its southern aspect open the sea, the region sits beneath a default pink misty sky. Atmospheric when it comes to romance, the environment serves to make walking the ring of the atoll a journey of discovery. However, those wishing to take photographs may want to try an alternative windlight – and I have to say that doing so in no way diminishes the sheer beauty of the design; it can also make finding one’s way through the more wooded parts of the island easier. An informal path runs around the island, progressing from the landing point in thee west, not far from the lighthouse, to pass over flowered field and under leaf-heavy boughs. Circling a good part of the inner pool of water, it leads the way to where the land climbs towards a set of high, narrow cliffs forming a curtain on the east side of the island. Water tumbles down three sides of this high divide, which separates the lagoon on one side from and eastern expansion of beach on the other, a beach that circles visitors back to the open mouth of the lagoon, spanned by a bridge that reaches out to the lighthouse. The beach, with broad sands and cut into three by narrows channels spanned by low bridges, looks out on three compass points, and is reached via wooden steps running down from the northern end of the high cliffs. Scattered across the sands are numerous places to sit in the Sun or under shade, be that shade from a windswept tree or the lacy drapes of an Arabesque pavilion. The beach isn’t the only place available for sitting: more chairs and perches can be found up on the cliff top, whilst array around the lagoon and seaward coasts are more pavilions and chairs sitting under the boughs of trees. There is a wonderful mixing of styles here that increases the sense of beauty and romance. The Arabesque pavilion mentioned earlier, for example, sits on the beach like a tent in the desert, not far from the steam flowing outwards from tumbling falls where African elephants sit and bathe. Within the rounded shallows cupped by the land, and elven-like series of arches march out over the water to form a circle where couples can sit or dance to suitable music from the piano sited there; while from numerous trees chandeliers perhaps suits to the halls of some great Georgian house hang to light the woodland paths. Throughout, there are many little touches that bring Winter Moon to life as a place used by lovers – such as the typewriter to be found in a waterside pergola, a heartfelt letter caught on its rollers or the champagne waiting on ice in another pavilion. Over all this, the susurration of water washing the shore or falling from high rocks mixes with the song of birds and the tinkling of chimes caught on the breeze, combine to add further depth to the setting, bidding visitors welcome and encouraging them to stay. For lovers, romanticists, grid travellers and photographers alike, this is a region that remains an enduring place to visit and appreciate – and return to. In 1814 and at the age of 17, Mary Godwin, daughter of the political philosopher William Godwin, began a relationship with poet Percy Bysshe Shelley. It was to become the subject of much gossip and scandal, Shelley already being married and Mary bearing him a daughter. However, their love endured, and in 1816, they were able to spend summer with Lord Byron near Geneva, Switzerland (with Mary already calling herself “Mrs. Shelley”, although she and Shelley were not married until later in the year following the death of Shelley’s first wife). Thanks to the inclement weather, Mary, Shelley and Lord Byron entertained their little party by reading German ghost stories. This resulted into the three agreeing a challenge to each write a “ghost story”, but Mary found herself unable to determine a suitable theme until, on a later evening, the discussions turned to the nature of the principle of life, and she found herself wondering about the potential to re-animate a corpse. 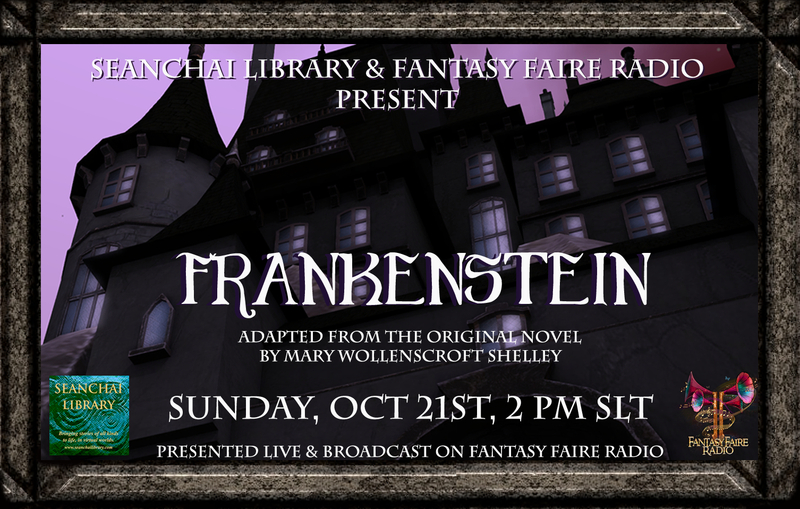 Her imagination sparked, over the coming days she wrote the first draft of a story that would grow into one of the most famous horror novels of all time: Frankenstein: or, The Modern Prometheus, eventually published in 1818. The novel received a positive reception when it first appeared – although it was also somewhat disregarded as a literally piece, being initially published anonymously (it was not until 1823 that Mary’s name was added to it). The initial reviews praised the novel as “very bold fiction”, while the then unknown author was praised for having, “the power of both conception and language”. It was only after Mary Shelley became the acknowledged author that the reviews became largely more negative – and in doing so, focused on the fact the author was a woman. However, the novel proved itself more than durable, surviving the negativity, becoming an early subject for stage adaptation. The first of these, Presumption; or, the Fate of Frankenstein, opened in 1823. The novel then became a subject for film from 1910 onwards. The most famous of these cinematic adaptations is perhaps the 1931 James Whale film, Frankenstein: The Man Who Made The Monster. Itself adapted from a stage play by Peggy Webling and loosely written around Shelley’s novel, the film starred Boris Karloff, in a role that transformed Shelley Creature into the Monster with bolts in its neck we all tend to visualise when thinking about the tale. 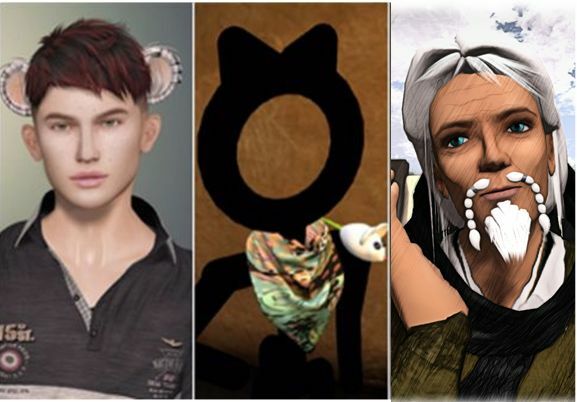 Linden Lab has announced the next in their series of Town Hall meetings, this one again featuring three of the decision-makers for Second Life’s ongoing development: Director of Product, Grumpity Linden, Technical Director Oz Linden, and Senior Director of Product Operations, Patch Linden. Thursday, November 15th 2018 from 10:00 SLT onwards. If you have a question that you would like to ask these Lindens, please take a moment to post it in the Community Forum thread “Town Hall Meeting with Grumpity, Oz, and Patch Linden – November 15” in advance of the Town Hall. Questions will be selected from all submissions made prior to November 9th, so be sure to get your question in before then. For the benefit of those who may not be familiar with Patch, Oz and Grumpity, the following is a brief outline of their responsibilities which I hope may help when considering questions to submit for consideration at the meeting. Oz Linden is the Technical Director for Second Life, having joined in 2010 with initial responsibility managing the viewer open-source project and rebuild what had become a fractious relationship with TPVs, with his role expanding over time to encompass more and more of the engineering side of Second Life. Grumpity Linden is the Director of Product for Second Life. She originally came to Linden Lab while working for The Product Engine, a company providing end-to-end consulting and software development services, and which supports viewer development at the Lab. Grumipty was initially involved in the development and viewer 2 (as designed by 80/20 Studio). Grumpity jokingly refers to herself, Patch and Oz as the “hydra” or troika, responsible for the development and direction of all aspects of Second Life. Patch Linden is the Senior Director of Product Operations at Linden Lab. Originally a Second Life resident, he joined linden Lab in 2007, after being invited to apply to the company as a result of his work as a community leader and mentor from 2004 through until the invitation was extended. The majority of the following notes are taken from the TPV Developer meeting held on Friday, October 19th, 2018. A video of the meeting is embedded below, my thanks as always to North for recording and providing it. This is again a short meeting with some lengthy pauses, so the following is a summary of key points. The Environmental Enhancement Project (EEP) viewer updated to version 5.1.10.520819 on October 19th.This viewer contains further fixes and tweaks, and the Lab hope to have the viewer on roughly a weekly update cycle through to RC status. Currently, running EEP on the simulator side can result in some strange skies when seen on non-EEP viewers (deep black skies, racing clouds, etc.). Rider and Graham Linden are working to correct this, however, the work involved is a little more complicated than had at first been thought, so there might still be one or two things that continue to “look a little weird” even with a fix in place. Should you enter an EEP region on a non-EEP viewer and experience odd skies, simply set your environment through the viewer options. [21:06-21:55] It is hoped the October 18th RC update will be the last for the Animesh viewer, and its next update will see it promoted to de facto release status, although right now it hasn’t been available long enough to give a reliable indication of crash rates. The Bakes On Mesh viewer is pending fixes to the Bake Service. Bugsplat viewer: a new version is going through QA that eliminates the need for two viewer icons. This should be the final RC update for this viewer, leaving it in the queue for promotion to release status. The viewer also retains the Breakpad code for those TPVs who wish to continue to use that for bug reporting. However, contributions to this code will be required to maintain it once the Lab has moved to using Breakpad. The Render viewer still has a number of bugs pending a fix before that will be at an RC status eligible for consideration for promotion to release status. The Estate Access Management (EAM) RC viewer hasn’t yet had enough hours of use against it to judge its possible promotion status. [10:19-12:45] Again as a reminder: for over a year now, LL has used HTTP via their CDN provider(s) for all asset fetching, avoiding the need for the simulator to handle all asset transfers and associated messaging directly. However, the simulator-side UDP code for some asset types has yet to be removed. This will now happen at the start of January 2019, and means that from around January 6th, 2019, any viewers still fetching the affected asset types via UDP after this date will not longer work correctly. There should be a fix in the Spotykach RC viewer for an “obnoxious” bug within the inventory database which, on rare occasions during inventory initialisation, could see a specific UDP inventory operation that isn’t supposed to move folders attempt to do so, as a result of an unknown issue within inventory. This then results in the folders being recorded (and appearing) as items in Trash and at risk of accidental deletion. Oz Linden has indicated he hopes that 2019 will see all inventory operations move away from UDP in order to make them more reliable, but there is a fair amount of systems work to be done to achieve this, including implementing new HTTP inventory operations. The current plan is to implement the HTTP functions in the first half of 2019 and switch over to them, then disable the existing UDP operations later in 2019, and eventually remove them from both the viewer and the server. [22:18-23:12] ARCTan is the code-name for the project to re-evaluate object and avatar rendering costs to make them more reflective of the actual impact of rendering both, which it is hoped will also help correct some inherent negative incentives for creating optimised content (e.g. with regards to generating LOD models with mesh). It’s a project that has been on a slow burn for some time, and the current order of priorities for anything involving rendering is EEP first, then the updates to texture caching, then ARCTan. As such, there are unlikely to be any changes to ARC calculations, possible changes to LI for objects before the end of the year. Even then, because of concerns over LI changes, the Lab will approach things cautiously – see here for more. [23:12-24:52] The updates to improve texture caching are moving forward. Overall the expectation is that the new method for caching will be a lot more robust in terms of the code, and it could lead to some viewer performance improvements for most systems. Focus should switch to this viewer as EEP matures through RC however, with the holiday season approach, the project may not advance too far before the end of the year, but hopefully a project viewer will surface before the year-end No Change window comes into effect. [9:08-9:38 and 26:32-26:57] The US holiday season is approaching – notably US Thanksgiving and then Christmas, so the cadence of TPV meetings may therefore be changing as the end of the year approaches. The next meeting (November 2nd) will take place, after that meeting frequency will be TBA. [19:41-20:18] Return of last names: progress is being made on updating the back-end services. It’s still not clear if this will be deployed before the end of the year.